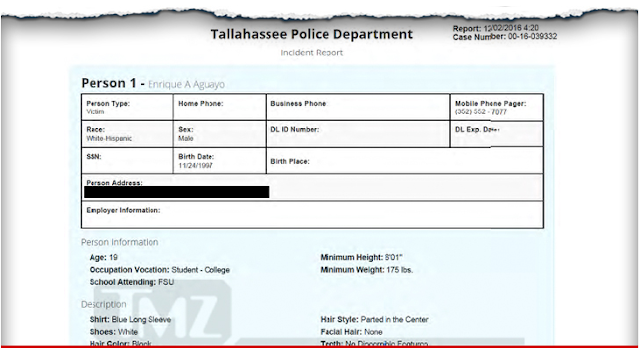 FSU kicker Ricky Aguayo told police he was attacked by several Florida State frat guys after the 2016 Florida game ... and it's all detailed in newly surfaced police report obtained by TMZ Sports. The Tallahassee Police Dept. 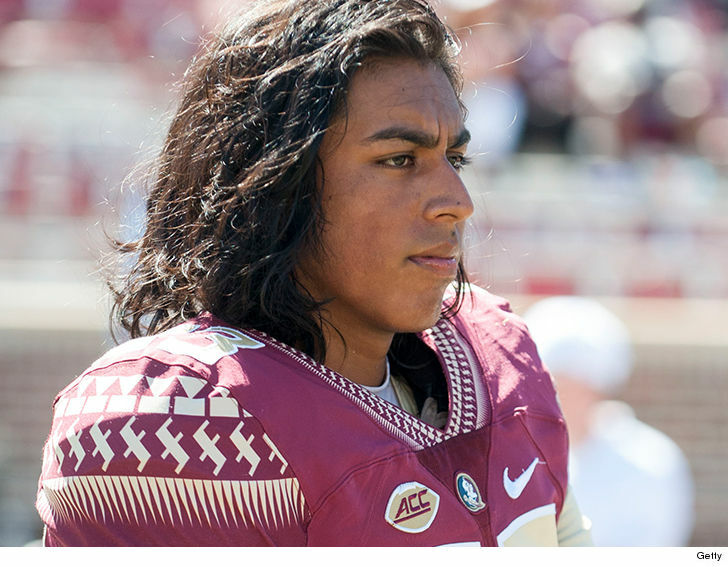 was called to the Pi Kappa Phi frat house around 3 AM on Dec. 12, 2016 and found Aguayo and teammate Ryan Izzo (tight end) walking down the street. Aguayo told cops several Pi Kappa Phi members had been heckling him about missing field goals during the Nov. 26 Florida game ... in which he missed 2 kicks. "He said that he was rushed by several members of the fraternity and that they had 'jumped' him," the police report said. "He said he was punched in the face and various other places on his body." Cops say Aguayo had blood on his face and shirt and that his shirt was ripped. When cops spoke with Izzo, he told police he wasn't there for the fight -- but was called afterward to help Aguayo. But there's another side to the story ... one of the frat members told police Aguayo had called him a "sorority f**got" and punched him in the face 4 times. He also claims Izzo also attacked him and threatened another fraternity member. In the end, neither side wanted to press charges. The story was first reported by the Tallahassee Democrat.